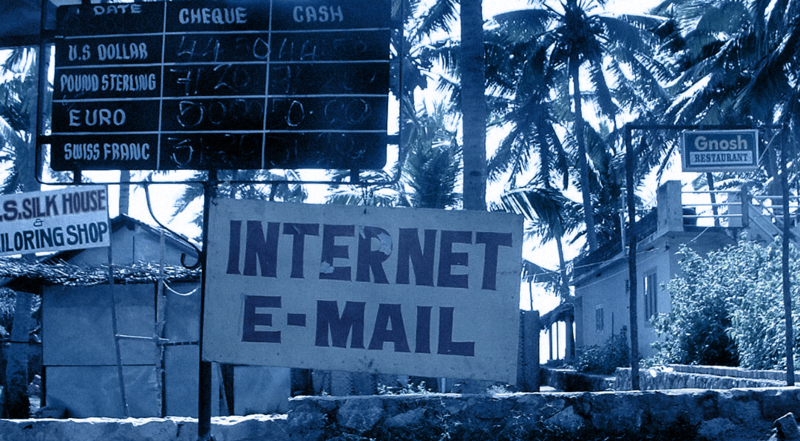 Experts go back and forth on whether or not email still works as a marketing tool. It does. Just not the way most marketers use it. Here’s a simple way to create effective email campaigns that produce profits without alienating prospects for being too salesy. More is not always better when it comes to adding subscribers to your email list. Sometimes, it’s better to build a smaller, targeted list of ideal buyers than amassing a horde of discount/freebie seekers. Use “funnel vision” when creating your lead magnet or giveaway and use that piece to set up subscribers for the next step in your buying process. 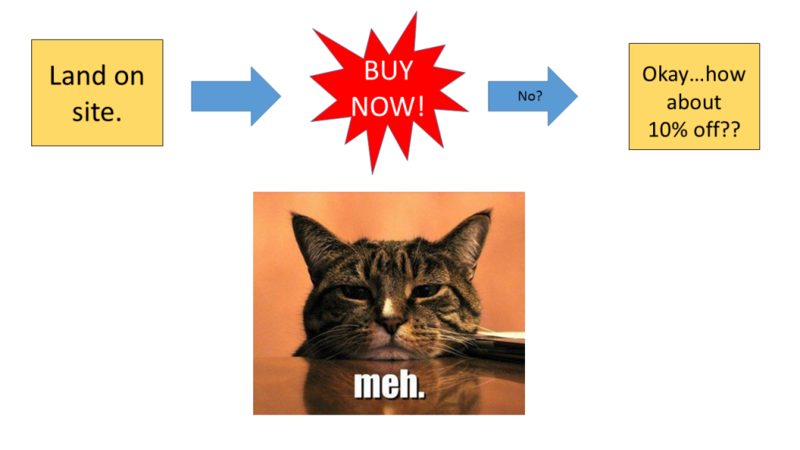 Example case study: If you sell a diet product, avoid offering subscribers a paltry discount. Instead, “bribe” them with the ultimate at-home workout plan. Follow that with an autoresponder series that points out how many people struggle with weight loss because they focus on exercise and ignore proper nutrition and position your product as the solution for this problem. For this example, let’s say the ideal audience is busy moms who want a simple way to shed a few pounds and keep them off. Our main product is a meal replacement shake, but instead of going straight for a hard sell we offer a free exercise program anyone can do at home. This lead magnet has value in a way that is related to your product but not (immediately) tied to it. You establish expert authority while building trust. In-short, for this example company you are positioning yourself as the go-to person for help with weight loss. Compare this to all the other products out there that stick to bombarding people with demands to BUY NOW. Of course, you can’t stay in business if you don’t make money, so let’s examine how you can ask for the sale without losing the trust you’ve built up. Note: I would consider this email a first draft. 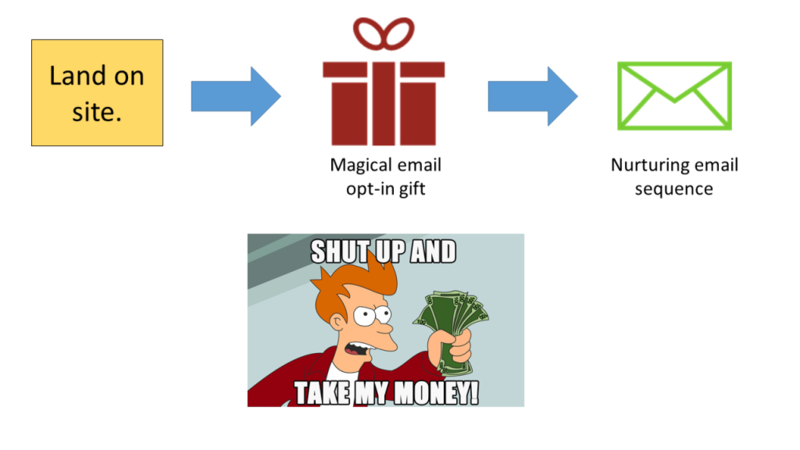 The point is not to show you what to do, word-for-word, but to illustrate how to transition from your lead gen offer to your product offer in an email. If you would like to have an in-depth email marketing strategy session tailored to your specific business, then request a free consultation with us to get started. Otherwise, enjoy this example of a non-salesy email. Yesterday, I sent you the DietCo Ultimate At-Home Workout. Yes, the plan I sent is a complete, full-body workout you can do at home. No gym membership or expensive equipment required. Doing the whole workout will burn roughly 200 calories. Which sounds pretty good. That’s the same amount of calories in a doughnut. One. Single. PLAIN Doughnut. Not even glazed! 20 high-intensity minutes of heart-pumping, sweat soaking through your tank top exercise. And we’ve heard countless stories from people who gave up on ever losing weight because all the workout plans they tried failed. These were committed folks who carved out time in their busy schedules balancing work, home, kids etc…to slave away in the gym for an hour. And that’s exactly why we created the DietCo Diet Shake. Because nutrition is the real “secret” to weight loss. But most diets are too restrictive to maintain long-term. Which means you start, starve yourself, lose a few pounds, quit as SOON as you hit your goal. And…gain all the weight back! With our diet shake, it’s not about denying yourself. You simply replace one meal a day with the shake. And unlike other unsavory diet products you have to force yourself to choke down, the Diet Shake is actually delicious. While still helping you keep your daily caloric intake low. So you’ll start seeing results from your workouts. Check out some of the before and after stories on our site. Then visit our online store and get a starter pack of shakes. We’re offering a limited two for one deal that expires the on New Year’s. Save 50% while you still can. 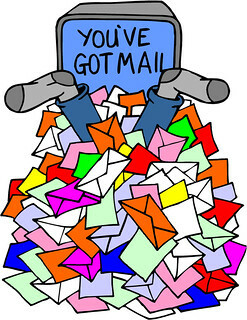 Again, the above example is far from a perfect email. In fact, it would probably work better as two emails. The key thing is that this email sets the reader up to find a solution instead of putting them on guard against yet another sales pitch. In her free time, Diandra enjoys learning about Internet Marketing and chewing bubblegum. And she's all out of bubblegum.